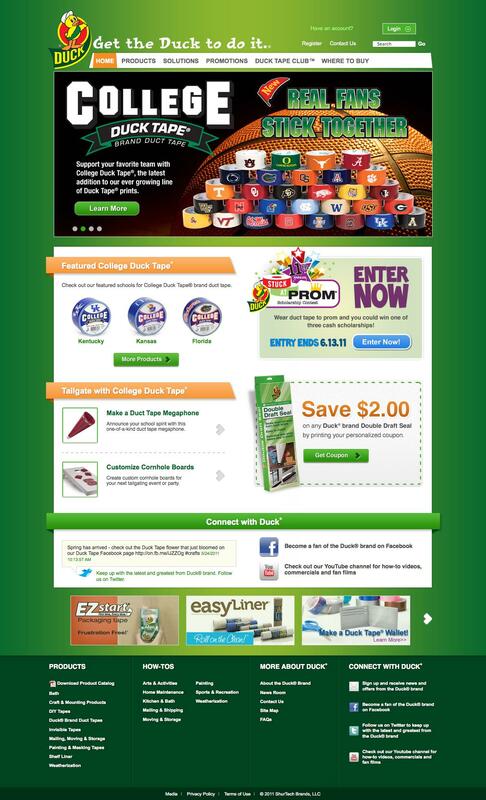 DigitalDay knows CPG Online Marketing. With a focus on strategy, branding and front-end engagement, we understand what it takes to drive a consumer to a web asset and then engage and convert them once they’re there. 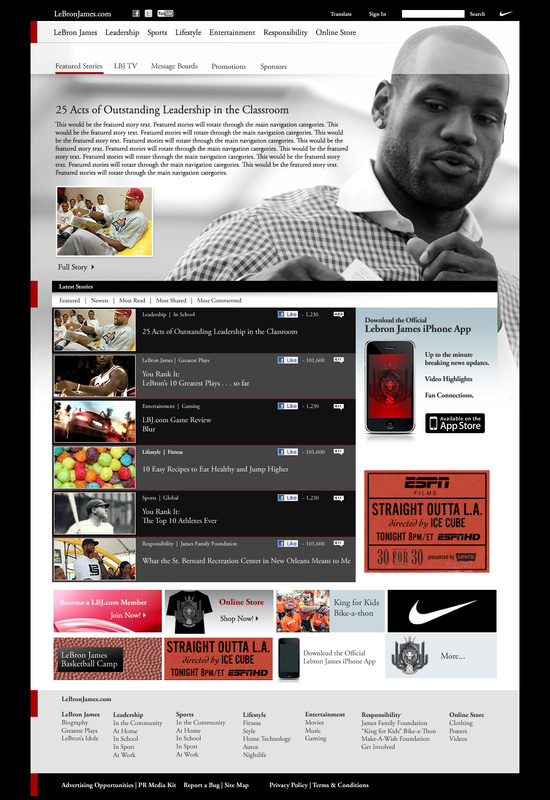 Through our 10-year relationship as the digital agency of record for the J.M. Smucker Company, we’re particularly well-versed in food and recipe marketing (what works as well as what doesn’t). DigitalDay’s online marketing support services for Reynolds Kitchens includes: Brand site and microsite strategy, design & development; Email Marketing design and delivery through Silverpop; online promotion development; Managed web-hosting; Application development. With more than 4 million followers on Facebook, Duck Tape is an iconic American brand. As the digital agency of record, we help manage all aspects of their online marketing. DigitalDay's online marketing support services for Crisco included: Brand site and microsite strategy, design & development; Email Marketing design and delivery through Silverpop; online promotion development; Managed web-hosting; Recipe database design and development. development. 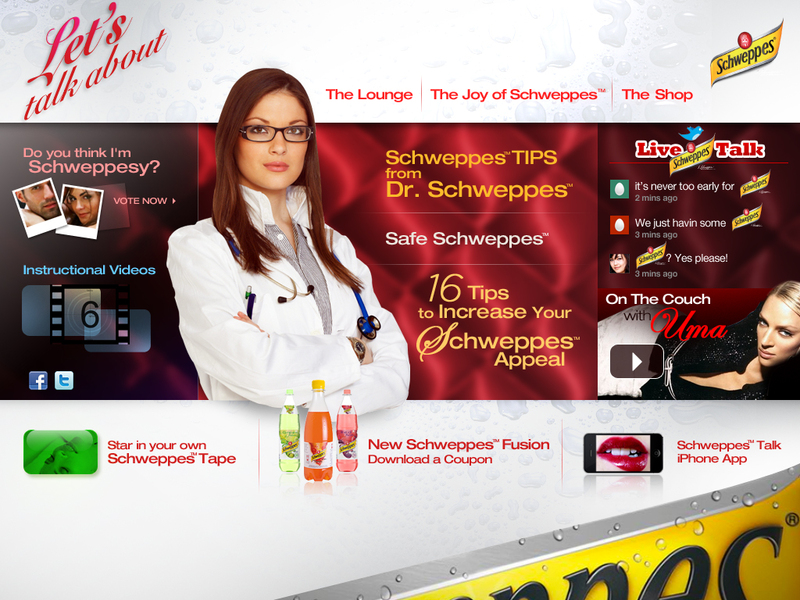 In Europe, Schweppes is making a move to extend their brand into flavored sodas. Through our relationship with The Duffy Agency, we helped develop a promotional concept to accompany a recent TV ad campaign featuring Uma Thurman. In our 10+ year relationship with Smucker's, we created their initial site in 1998 and have patched together updates several times since -- it's time for a redesign. 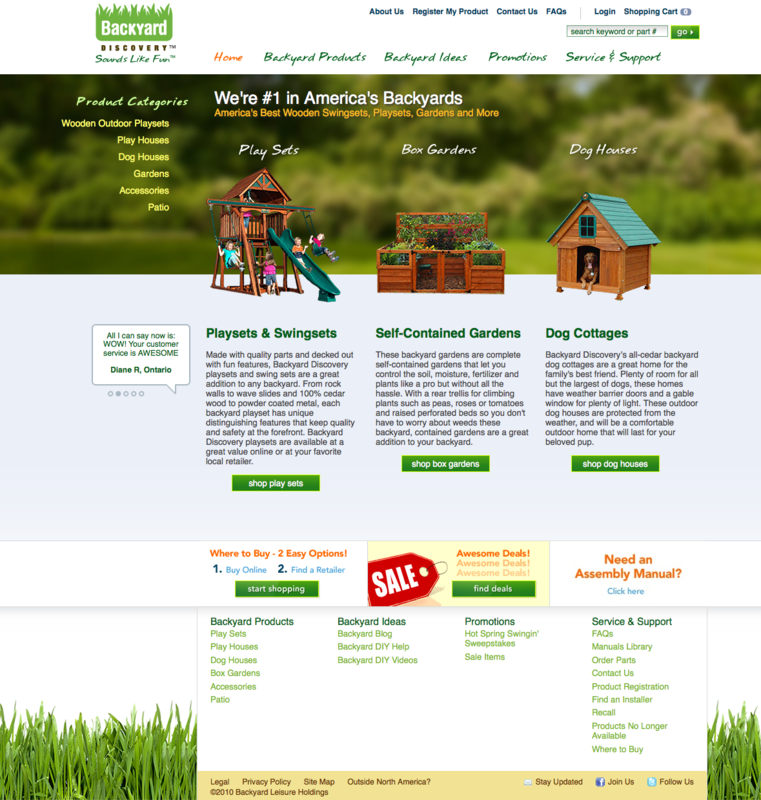 Kansas-based Backyard Discovery is the largest wooden swingset manufacturer in the world and another happy Sitecore CMS power-user. We support all of their online marketing, to consumers through all forms of their distribution channels and customer service. 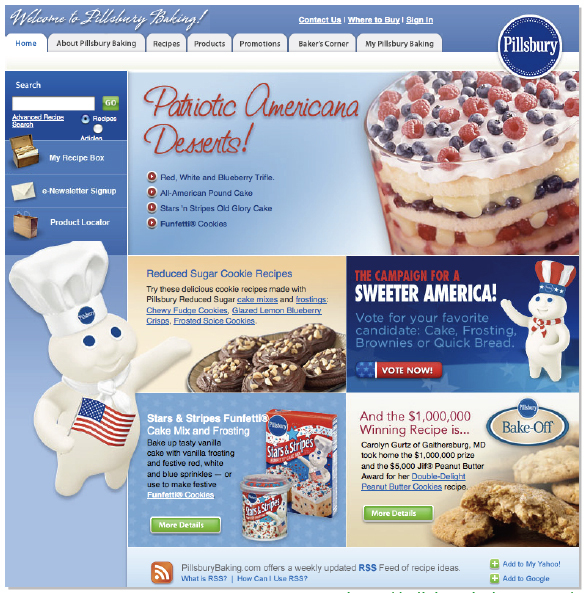 DigitalDay’s online marketing support services for Martha White, Another JM Smucker brand, included: Brand site and microsite strategy, design & development; Email Marketing design and delivery through Silverpop; online promotion development; Managed web-hosting; Recipe database design and development. 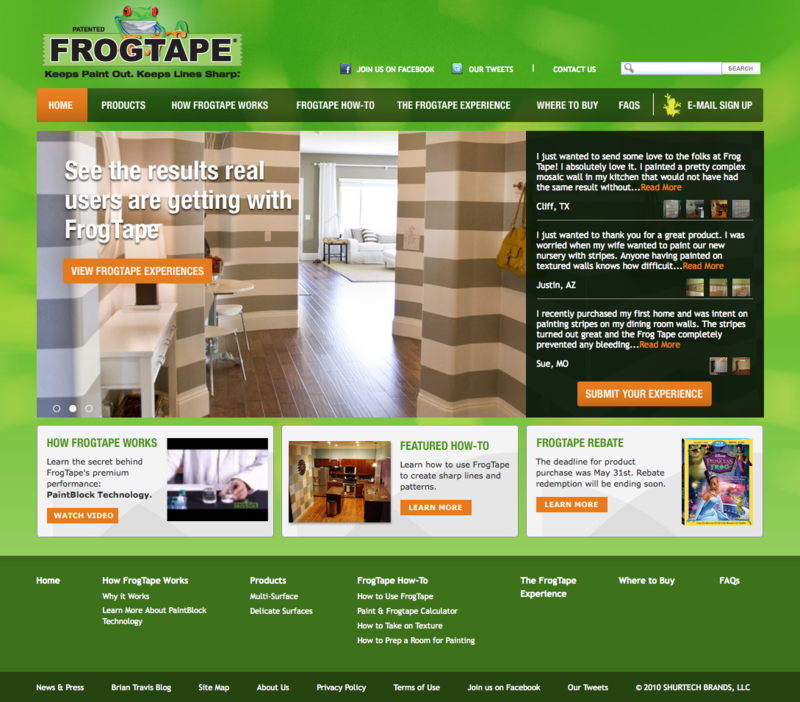 Frog Tape, a Shurtech Brand and a cousin of Duck Tape (kinda), is the best darn painting tape out there and we get to support all of their online marketing. Having inherited this food site from another agency, we immediately optimized its Sitecore CMS back-end and provided this initial creative refresh. As the digital agency of record, we suppor their many brands with website design and development, online promotions, email marketing and even some print design. If you live in Ohio, Western Pennsylvania and parts of Indiana, you grew up with Schwebel's (we can see and smell their Cuyahoga Falls bakery from our conference room window). 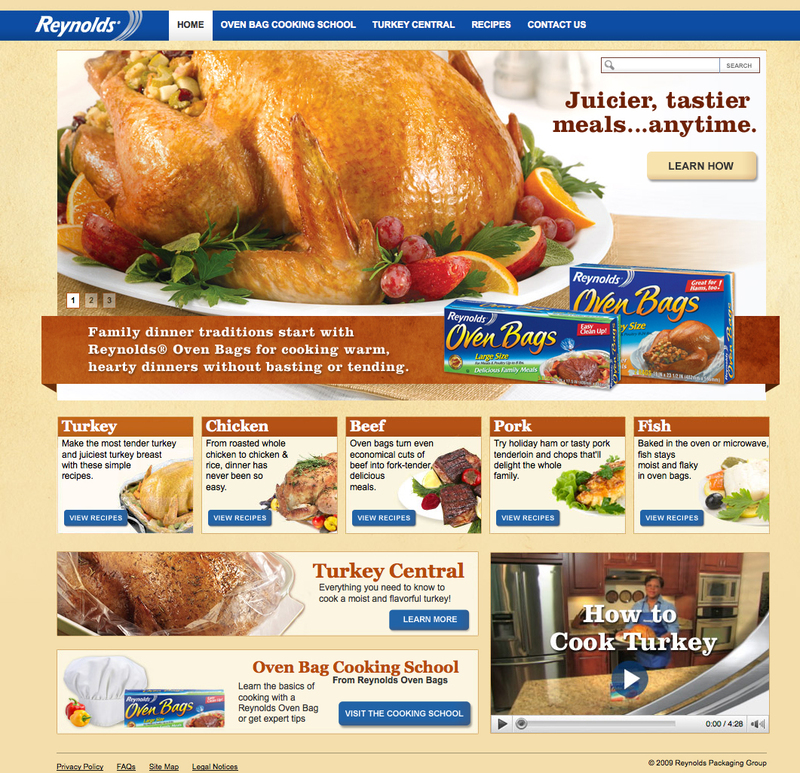 They're the leading sliced bread brand in the region with a marketing staff who relies on us to help make their customers smile..
Thanksgiving is the #1 season for oven bags and we helped Reynolds capitalize on this holiday by providing the information and tools to provide a great brand experience with the products while minimizing customer service costs.